Forget about heading to New York City’s for its ‘American’ food - the dining scene of a thousand cultures is ready with surprises. The development of New York has been intrinsically linked to the many ethnic communities that have made the city their home. Ever since it's beginnings as Dutch New Amsterdam, New York City has been embracing the world's cultures for countless decades as immigrants head to the city to seek employment, and to chase the American dream. In areas of the city like Queens, this penchant for diversity is taken to the next level as the borough is the world's most linguistically diverse area as it is home to more than 800 different spoken languages. By extension, the dining and food culture of New York City is one of the world's most diverse as it understandably has to cater to the appetite of its ethnic groups. And that's before we begin to think about that large number of tourists that swarm the city day after day looking for great food. Indeed, many of the city's legendary restaurants first started out as humble establishments seeking to bring a slice of 'home' to the city. Understanding New York City through its food is therefore an interesting proposition. Any quick search online will yield an inexhaustible list of well-acclaimed restaurants of all types from the nearby Mexican to cross-pacific Korean. Local establishments that have become veritable institutions in the communities they are in like the humble Jewish deli are also not to be outdone. By distilling the various cultures that have shaped New York City down to the foods that they are proud of, we'd like to present to present a foodie's history (and survey) of New York City's dining culture. Let's dive in. The Jewish community has been a part of New York City even before it was named as such. Since the founding of Dutch New Amsterdam, the Jewish population has been steadily growing and now makes up around 9% of the city's population. It is thus easy to understand just how intrinsic the Jewish community's traditions and cuisines has been on New York City's culture. Indeed, the New York City bagel and the Jewish deli are both icons that have come to characterise New Yorkers themselves. On a recent trip to the city, we uncovered just how preeminent Jewish influences are in the city. The popularity of the bagel is definitely not lost on visitors to New York City. But for locals, its is one of the city’s most definitive icons. The practical benefits of bagels are also pretty evident. For one, it is an infinitely flexible food, taking on the flavours of spreads and meats that the particular variants comes in, even if it is just the classic New York schmear. At present, bagels are recognised as a distinctly New York tradition. However,If you were to do some research on the origins of the modern Bagel, two opposing theories stand out. The first traces its history all the way to the Ancient Egyptians as evidenced by hieroglyphs depicting bread rolls with a hole in the middle. Yet, the modern version of the version (embraced by Syrians in earnest) has the bread in both soft and crispy variants - but never boiled. The boiled manifestation of the bagel supposedly comes from Polish Jews who did so as boiling preserves the bread for a longer time. For New Yorkers, bagels that go through a truncated preparation process (where bagels are baked but only injected with steam and not boiled) is tantamount to treason. In essence, by saving time, manufactures still get the plush sheen of the classic bagel but lose the hyper-important and unique chewiness of an original boiled bagel. Extremely convenient food in the city especially for a population that’s always busy and on the move. And much like the NYC buttered roll, New Yorkers likened themselves to the ubiquity of the bagel as an always available, on-demand food. With the proliferation of supermarkets across the city and the advent of frozen bagels, the reach of this staple was further extended. And just like a lot of things in the city, while bagels came from somewhere else, New York’s diverse population and global reach did the heavy lifting to make it popular. For such a storied institution, it's surprising to find out that a young 27-year old (Jake Dell) sits at the helm of the iconic Katz Delicatessen especially since Katz's is just about a hundred years older than he is. Yet, for such an old establishment, Katz is surprisingly popular amongst travellers of all stripes, and is a frequent star on social media platforms. The deli's Reuben pastrami and its traditional corned beef sandwiches are perennial favourites. The walls of the deli are also covered by portraits of the famous celebrities that have visited the restaurant over the years. And yes, those stories about paying $50 fines for losing tickets is real. What happens here is that upon entering, every customer is given a ticket. To order, pass this ticket to the deli staff with your verbal order, your attendant will note it down and pass the ticket back to you. Consequently, since the deli is such a hotspot, Katz's ticket system is an inelegant (but effective) way of making sure that everyone pays for their food. Rest assured, there are no penalties for 'unused tickets'. Though Katz is named for their namesake family, the business changed hands into the Dell family about 30 years ago. Since then, though the classic Jewish sandwiches have stayed on the menu (which is as notorious as the staff's aloofness), new offerings have been added. The most recent addition has been the pastrami reuben sandwich. Jewish delis have also been around since the early years of modern New York City. From the early days when Jewish and German foods (meat heavy ones) were synonymous to the current day where only a few delis still remain. Throughout the intervening years however, a steadfast love for ethnic meats (pastrami, corned beef and salami) has endured. Katz's is a great place to experience a distilled version of NYC's deli culture, especially in such a hyperlocal atmosphere. Tacombi is a veritable fan favourite amongst New Yorkers, with 5 locations across the city all dishing out excellent and authentic tacos to a willing steam of patrons. However, don't let the bright colours and decor of its restaurants fool you into think that its just another kitschy Mexican joint. Since it's beginning, founder Darios Wolos has said many times that he values traditional Mexican ingredients and recipes in all of his dishes. It is also heartening to know that Darios grew up in Monterrey, and spent many years learning the art of Mexican cuisine from his mother. Unconvinced? Tacombi's menu proudly states that they 'seek to preserve Mexican culinary tradition'. Before he founded Tacombi, Darios used to sell his tacos out of a refurbished Volkswagen Kombi (yes those vintage ones) along the beaches of Yucatan in Mexico. This was also where he honed his craft before launching a restaurant in NYC after noticing the city has a dearth of good Mexican cuisine. From there, the fledgling business eventually saw rapid growth, transforming itself into a mini (delicious) empire of tacos. At Tacombi, authenticity is at the heart of its operations - none of that crispy taco bowl nonsense. Outlets are all dressed up in full Mexican garb (the place, not the wait staff) and adopt a siesta vibe from its decor to the lively open concept kitchen. Each Tacombi also has its own 'head honcho', a taco master that sets the tone of the restaurant, and the flavours that go into its menu. Tacombi also feels quite at home in New York City as after all, the city's Mexican population is dominated by people from Mexico's Puebla region. They really love tacos. While the Mexican community is certainly less prolific in New York than in states like California, Arizona, and (keep up with me here) New Mexico, it's dining scene does not falter. Mexican Americans are currently one of the fastest growing ethnic groups in the city which threatens to upend the notion that New York has weak showing when it comes to Mexican food. 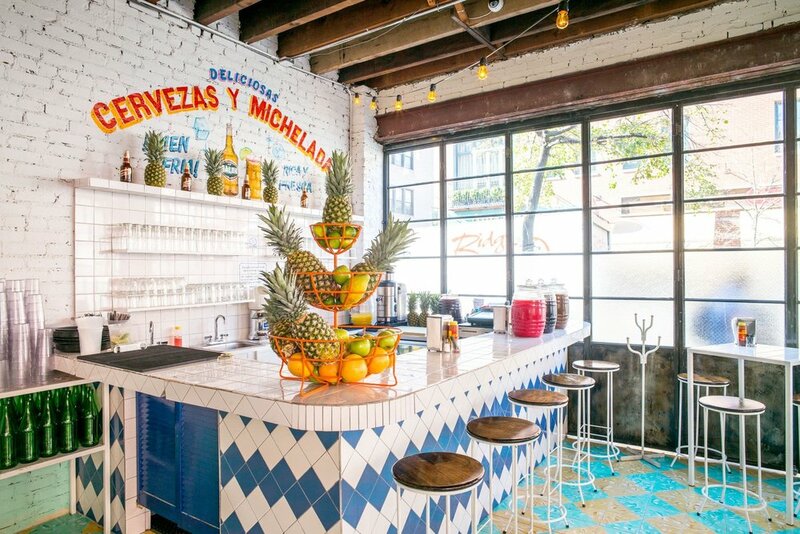 Nevertheless, establishments like Tacombi are hoping to redefine New York City’s relationship with Mexican cuisine. Visit any of Tacombi's great outlets if you're in the city - the guacamole is life changing. 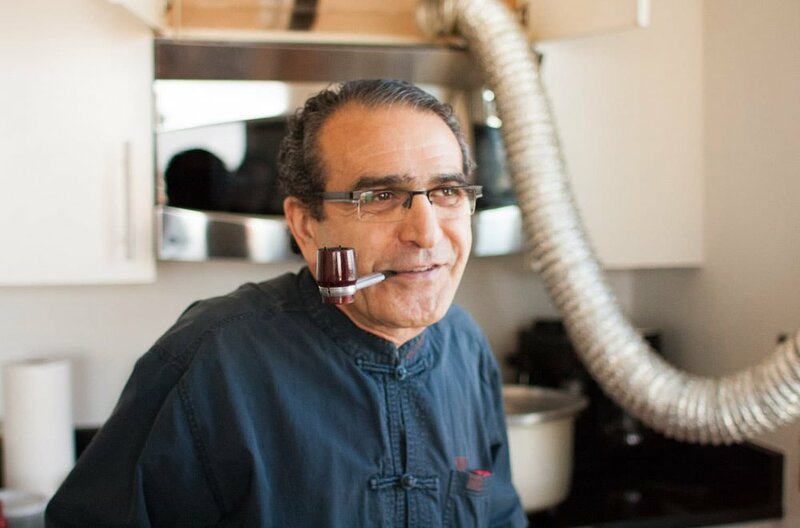 In a small ground level space just minutes away from the Flatiron Building, Taste of Persia NYC owner Saeed Pourkay serves up a healthy collection of Persian cuisines from Iranian meatballs (sargonjeshki) to Persian kebab. For Americans however, few have had proper Persian cuisine especially since Iran has such a bad reptuation globally. The complex tensions that have plagued the US-Iranian relationship doesn't help either. Nevertheless, the United States has the highest number of Iranians living outside their home country especially since the Islamic Revolution of 1979 sparked a huge wave of emigration. Many students who were studying in the United States during the time of the revolution chose to stay for fear of a persecution of intellectualism back home. Indeed, the 'Wadiyan' community living in New York City (from the movie The Dictator) was modelled after the Iranian community that is seeking 'refuge' in the city. Whatever your persuasion might be, the food at Taste of Persia is of the highest quality despite the fact that the place it calls home is of modest standards at best. That being said, we think that it's probably why such great food is able to be had for this cheap. Saeed’s flagship dish, the Asheh Reshteh is a creation that takes hours to prepare and is essentially a complex mixture of beans (of all types), herbs and noodles. Not to be outdone, his other dishes also use ingredients that are often hard to find - Saeed however, refuses to skimp on these critical essentials. By the time office drones are out for lunch, the smell of saffron basmati rice would have filled the air, and it certainly holds its own weight since Saeed’s humble establishment shares a space with a local pizzeria. Saeed also has another trick up his sleeve - Taste of Persia has a menu that changes daily, which undoubtedly would delight repeat customers. In a time when Iran and the United States are at daggers drawn, it is heartening to know that Saeed remains steadfast as a promoter of Persian culture. To this end, he is certainly a part of the illustrious Iranian-American community, which is one that has produced many leaders in Business, Technology, Philanthropy and the Sciences. If you're in the city during the Iranian New Year holiday of Nowruz (March 19 - 21), catch the NY Persian Parade as it makes its way across Midtown Manhattan. While there are many restaurants in New York City to shout about, we think that Taste of Persia is certainly one of its most illustrious. And while some may baulk at his ‘high prices’ (it's really only about $12 for a set meal), there is no doubt that quality is the priority here. Here’s to Taste of Persia getting a place that it can call its own. The Chinese community has been an ever-present shaper of New York City's dining scene from Cantonese yum cha-s to the current trend in tongue numbing Sichuan cuisine. Indeed, New York City (and its surrounding areas) currently hosts about 12 Chinatowns, and has the largest population of ethnic Chinese outside of Asia. This huge population is still steadily growing, building on the legacies of earlier immigrants that have been coming to the city since the 1830s. Young New Yorkers have embraced Chinese food in a way their parents didn’t, that is to say, less of a take-out food and more of a ‘sit down’ cuisine. Diners also revel at the idea of having tasteful dim sum dishes available throughout the day (and even for dinner). Furthermore, young chefs are elevating the cuisine to greater heights by experimenting with its constituent flavours and re-interpreting classic Chinese dishes. Due to the diversity of New York City, fusion food also remains as popular as ever. We highlight two great restaurants that dish out certifiably good (and interesting) Chinese cuisine. At Nom Wah Tea Parlour, diners can expect a great representation of Cantonese yum cha (though with some American influences) in a tastefully designed tea parlour. Though the wait time for a seat at Nom Wah can sometimes stretch to over 2 hours, the food makes the endeavour worthwhile. As a Chinatown institution that dates back to the 1920s, Nom Wah has evolved over time. Currently, the tea parlour is owned by a young Wilson Tang who took over the restaurant from his uncle. Consequently, Nom Wah in its current form embodies both the experience of previous generations and the vision of Wilson. The Nom Wah of today is the result of a 4 month redesign back in 2011 that involved a renovation, and a full rebranding exercise. This has led to it becoming a cult favourite in Chinatown. Nom Wah is located in the centre of Doyers St in Manhattan’s Chinatown. Though the area is now a meeting place for lovers of Chinese cuisine, the gritty reputation of the street has not been lost on old timers. For one, Doyers St used to be called the Bloody Angle due to the road's unique bend. This quirk was exploited by the Tong Gangs in many a cold blooded murder where gang members would hide along the curve of the road to only to emerge when their rivals passed through. They would then proceed to attack these rivals with hatchets, fleeing into nearby alleyways afterwards. It is for this grisly reputation that Wilson’s parents originally tried to steer their son away from the restaurant despite the fact that it was ran by family. Before its focus on dim sum, Nom Wah used to produce mooncakes for the Chinese Mid Autumn Festival as that was the vision of the original founders. From vintage and old-time communal tables to vinyl booths, Nom Wah recreates a visually appealing atmosphere. That being said, the restaurant did do away with the traditional way of ordering dim sum in Hong Kong, that is, by attracting the attention of employees pushing dim sum carts around the restaurant. Nevertheless, it is clear that the ordering sheet and the decor of the establishment is what’s enough to pull in most Americans. And with Cantonese cuisine dominating Manhattan’s Chinatown, it's not hard to see why many have fallen in love with Dim Sum. Go with a group to savour more dishes, you know the drill. Restaurants like La Caridad 78 are the perfect exemplars of New York’s love for fusion cuisine, serving up excellent Cuban Chinese food in a humble establishment along the Upper West Side. But what is Cuban Chinese food? Well, it is essentially a (happy) love child of the bean-heavy Cuban cuisine and the wok hei of Chinese fare. Many travellers would come to realise after being on the road for a few years that the Chinese diaspora has spread far and wide; not least to the island nation of Cuba. Since the 1850s, the Chinese community in Caribbean cities like Havana slowly grew as indentured workers from China were relocated to Cuba by trafficking cartels. They were only allowed to be free after their 'contracts' ended. Many waves of Chinese immigration have also occured since then, mostly to escape discrimination in the US. To this day, Havana still has a prominent Chinatown (the Barrio Chino) even though few ethnic Chinese remain. Most of them fled the country in the wake of the Cuban Revolution, and when it became clear that the Castro regime would shun capitalism. That being said, the Cuban government has been receptive to efforts at strengthening the identity of the Cuban Chinese. Hence, we could begin to see a revival of Barrio Chino in the coming years. However, unlike the other Cuban emigrés who chose to settle in nearby Florida, the Cuban Chinese opted to relocate to New York City. And by doing so, they also brought their ethnic cuisine (including some Cuban influences) along with them. As both cultures relish pork, pork-based dishes are a very obvious starting point for those interested in Cuban Chinese cuisine. The same can be said about the use of rice though the cuisine takes on a very distinct Chinese flavour as the fried rice is imbued with wok hei. Accompanying the wok hei are generous servings of bean sprouts, mixed vegetables, and (unsurprisingly) lots of pork. The restaurant however, retains a strong Chinese influence. This is evidenced by the fact that the staff primarily converse in Cantonese. However, their uncanny ability to switch mid sentence to Spanish is pretty cool too. Hundreds, nay, thousands of pizzerias dot New York City’s rich dining scene, from takeout joints to decidedly fancier affairs. Throughout this, the humble New York slice has been replicated and modified to no ends both by Italians but also by the people who aspire to be like them. The iconic NY slice in its current form is an adaption from the original Neapolitan style pizza. 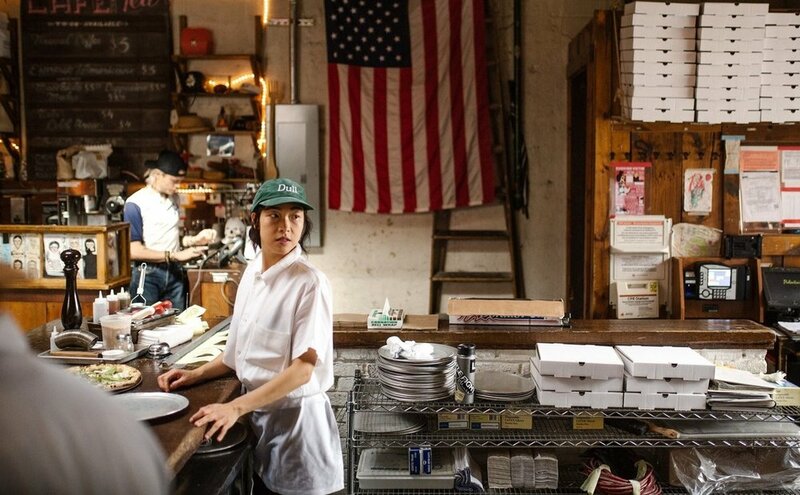 Just like New York City's other communities, Italian immigrants started to migrate to the city in the early 1900s primarily seeking economic prospects but also bringing along their love for pizza in the process. It was about this time that the first pizzeria in the city opened - Lombardi’s in Little Italy. Some stalwarts still consider Lombardi's as the best in the city. Despite this, the humble pizza was still under the radar until the craze caught on when GIs returning from World War 2 hankered for them. The best (and some would argue that it is the only acceptable) way of eating a New York slice is to fold it along its width, allowing your tastebuds to be exposed to the crust on both sides of the slice. Though most slices come without toppings, many pizza hotspots have their own unique creations that use ingredients of all sorts (including the dreaded pineapple). While most slices are big enough for a mid-day snack, don't forget about the venerated pie. At a diameter of 18 inches, taking a pie home means consuming a serving big enough for any appetite, regardless of how ravenous it may be. In New York, pizza is often enjoyed as a thin crust, keeping in line with its Neapolitan roots. And just like the NY bagel, many postulate that the city’s unique mix of minerals in its tap water is what begets the excellent taste of the NY slice. In older times, the ingredients used for a traditional pizza would be kept simple and mainly sourced for within the local community. Making the dough was a family secret and would be prepared in house. However, from the 60s, the growth of pizza chains across the city took the food into the mainstream. Yet, the modern pivot back to community dining has once again revived interest in homemade and quality pizzas, elevating the viability of the craft in the process. Supporting local is after all, in vogue now. While many wax lyrical about how New York City embodies the American dream, few realise that it is also the city of a thousand other dreams be it Chinese, Mexican or Persian. Indeed (and above all else), perhaps the one thing that ties all New Yorkers together is a common aspiration to succeed. Therefore, diversity is a fiercely celebrated topic in the Big Apple and for the right reasons. Even if one were to solely look at the gastronomical variety and quality of the city's restaurants, New York is definitively leading the pack in many regards. Therefore, the next time you visit New York City, think twice about eating 'American food' and instead, head down to the local family-run restaurant instead. Ethnic food in New York City is just as good as anywhere else, and they're not going anywhere. Love what you're reading? Follow us on Facebook to keep up with our articles on New York City and all things travel.